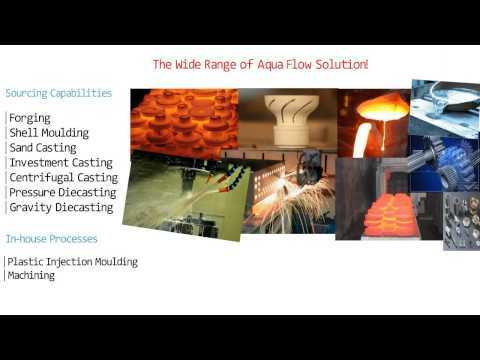 Aqua Flow is a precision component manufacturing company, delivering customized solutions through their own development for diverse sectors. With decades of experience, using the latest technology executed by professional engineers, Aqua Flow focuses on continuous improvement to deliver the best quality products, on time and for the most competitive yet affordable price. The company’s capabilities include: investment casting, forging, sheet metal fabrication, sand casting, shell mould, plastic injection moulding, pressure die casting, gravity die casting, heat treatment, surface coating / plating, solid modelling capability and programming, tool and die manufacturing.